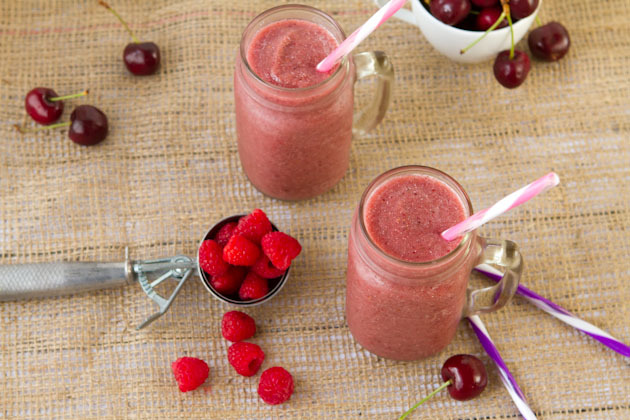 Refreshing dairy-free smoothie filled with cherries, raspberries and chia seed. You wont even taste the veggies! 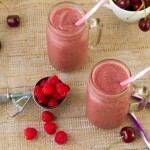 Place in your blender in the order of the ingredients listed, then blend for 30 seconds or until smooth.